GREATS has made waves in creating minimal, relatively-affordable, and easy-to-wear sneakers. 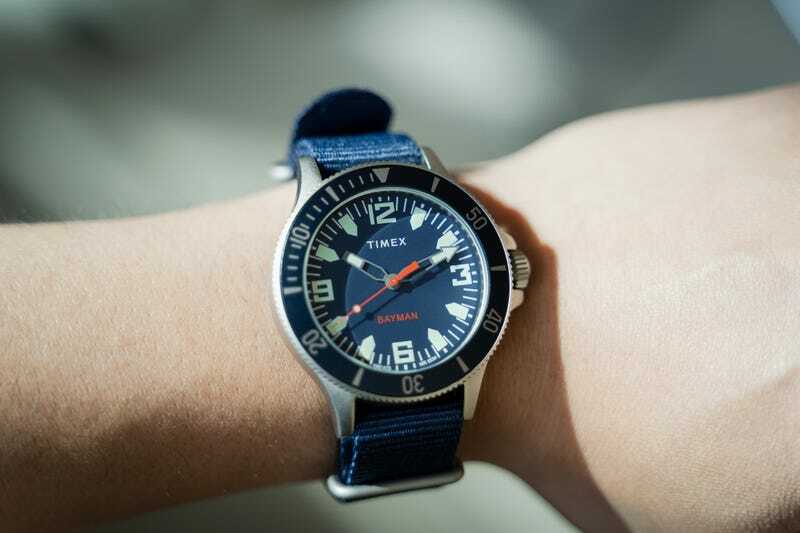 And now, the’ve teamed up with Timex, who share the same values, but applies them to watches. The Bayman, which “which takes inspiration from GREATS founder, Ryan Babenzien’s memories of time spent on the beaches of Fire Island in the ’70’s,” according to the brand’s press release, is a minimalist staple. The diver-inspired style of the watch lends itself to the deep navy strap and includes custom packaging designed by Babenzien. It’s a little pricer than a normal Timex timepiece, but the attention to detail and custom finishes of the watch face and strap really make this feel more like a real, true designer watch.